"Jevin has great previous work experience in sports and other industries. 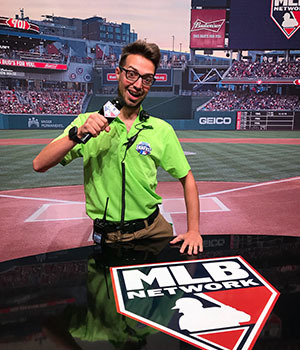 His experience, enthusiasm and genuine interest to learn and grow made him a great fit to work with the Nationals and Major League Baseball during the All-Star Game. I have previously worked with key members of the Point Park faculty and have great confidence that they are preparing Point Park students for successful careers in the sports industry. Organizing trips to sports conferences to network with sports executives is one way the faculty prepares students to land their first role in sports." "I have seen my opportunities double since being an SAEM student, and I have had some amazing summer experiences. I see myself growing in my knowledge of sports and entertainment, and my degree from Point Park will help me reach my dreams." Describe your experience as an All-Star Fan Fest Attraction Manager for the MLB. As an All-Star Fan Fest Attraction Manager, it was amazing. 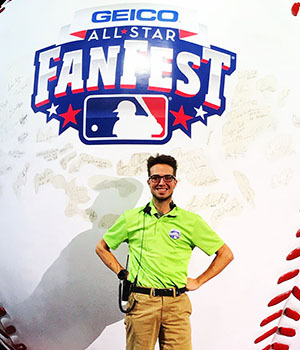 Working for Major League Baseball and being a part of an iconic event like the MLB’s All-Star Classic provided me with a thrilling experience. The event took place in Washington, D.C., at the Walter E. Convention Center. I worked with 26 other attraction managers who were all doing different baseball attractions. We had nine zone managers who were in charge of different zones, which had about five to six attraction managers. We were in charge of attractions such as Steal a Base, Home Run Derby and World of Trophies. I was assigned to an attraction called Rookie Leagues. Rookie Leagues is the Kids Zone of the MLB Fan Fest. The MLB had everything for creating a family-friendly environment for all ages. My job was to execute the day-to-day operations of the Rookie Leagues. In doing so, I was assigned the task of making sure that Rookie Leagues ran as smoothly as possible. It was pretty special to know that I had an impact on families’ experiences during the Fan Fest. Tell us about the other sports, arts and entertainment management-related work you did this summer. On top of working for the MLB All-Star Classic, I have been working festivals throughout Pittsburgh for Flyspace Productions. I had the opportunity to work for the Children’s Theater Festival, where I was the point of contact for Flyspace to help run the event at the August Wilson Center. Also, I worked on the Three Rivers Arts Festival and helped manage the info booth and merchandise for the Pittsburgh Cultural Trust. I also worked with Flyspace as a bartender for PicklesBurgh; it was a wonderful hands-on experience. I have thoroughly enjoyed working for Flyspace and look forward to working more events throughout the year with them. I also had the joy of working with Live Nation for the Justin Timberlake concert at PPG Paints Arena. It was my first-ever production running gig. How have your SAEM classes helped you in these positions? My sports, arts and entertainment management classes have helped me build the confidence I need to work different kinds of special events. I pride myself with being a sponge when taking classes at Point Park University. I have seen my opportunities double since being an SAEM student, and I have had some amazing summer experiences. I see myself growing in my knowledge of sports and entertainment, and my degree from Point Park will help me reach my dreams. 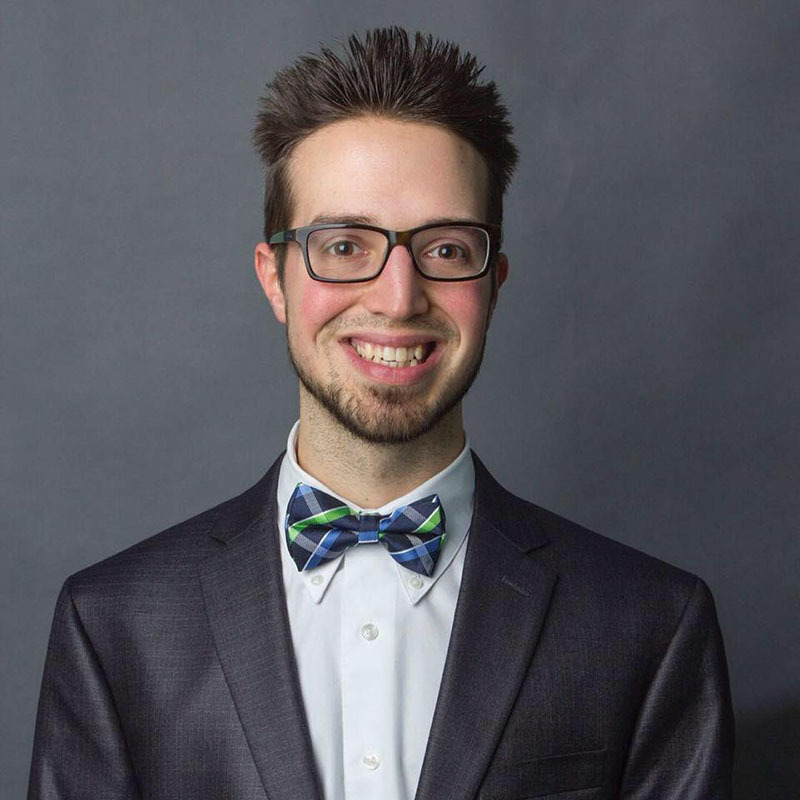 The kind of opportunities afforded to a Point Park SAEM student are endless. All you have to do is never give up, be aggressive with what you want and go after it and be the best you can be because you never know who is watching or where your next opportunities are. What are you looking forward to most in your upcoming junior year at Point Park? I am looking forward to just being back in the swing of classes. I love learning and being a student. I am excited to see the growth of the program and the upcoming opportunities with the new Pittsburgh Playhouse. If I had to pick a class I am most looking forward to taking, it would be Ticketing and Box Office Sales. That class will expand my knowledge of the industry and will make me more prepared for my post-college career. My career goal is to work in sports entertainment for the United States Olympic Committee. Point Park is a university that challenges you to be your best. I have learned so much about how to become a better all-around student. I want to be a triple threat: sports, arts and entertainment management. Another note I would like to add is that the professors are supportive and very helpful.